“What’s the highest you have had this plane?” It’s one of the most common questions I get when I tell someone I fly a friend’s Cessna 340. As if there is some special badge of accomplishment I get if I have managed to get it all the way to the published service ceiling. The reality is that flying higher comes with some additional risks, ones that can be fatal if not carefully managed, or mitigated. One of the riskiest segments of general aviation flying is what I call, “middle-altitude flying”. This is the flying that begins at altitudes where the FAA requires oxygen up to and including the middle FL20’s. For a select grouping of aircraft in our general aviation fleet, aircraft typically with turbocharged engines and some type of oxygen systems, operation at these levels becomes possible. Some examples include the Cessna 400 series, the Piper Navajo, some AeroCommanders, and a few Beech Barons and Dukes to name a few. Obvious benefits can be gained by flying at these altitudes, but one risk that seems to keep hurting pilots (and their passengers) is an encounter with hypoxia-related problems. Sometimes, these are fatal. Many times, the risks could have been mitigated. Flying an aircraft above FAA oxygen-requiring altitudes comes with all the potential aeromedical risk we have all learned about in our training. I won’t dive into the specific risks here, but when flying at middle-altitudes pilots may be lulled into thinking that they are less of a risk because they aren’t flying at extreme altitudes. In fact, the risks may be greater! The onset of hypoxia symptoms at these altitudes can be gradual, and thus, be less easily noticed. Oxygen delivery systems in these turbocharged systems are not designed to operate at extreme altitudes, but instead, allow a pilot to extend the altitude of operation to match the capability (typically) turbocharged engines give them. An aircraft with a maximum operating altitude of FL270 may experience a cabin pressure (assuming it is pressurized) at or above 10,000 MSL equivalent. But what happens if that 40-year-old aircraft isn’t perfectly sealed as it was when it came out of the factory, and instead it is realistically holding a cabin pressure altitude more like 16,000 MSL equivalent? Does the pilot notice this? If they do, do they descend? What about an aircraft that isn’t pressurized, but uses a mask or cannulas for delivery of oxygen? How does the pilot know if they are getting enough “flow” from that to be sufficient for a flight at FL220? Would that system still work properly during a cold winter flight or would there be a potential for freezing of the oxygen delivery lines? Many pilots operate these aircraft at higher altitudes assuming everything is working perfectly. Even if the systems are mostly working, but experiencing some minor troubles, it can become catastrophic. A quick search of the NTSB database with the word “oxygen” quickly results in many examples of (some fatal) accidents as a result of these operations. One example (NTSB Accident Number LAX00FA213) I found highlighted a case where a pilot of a Cessna 414 reported “hearing a loud noise and feeling his ears pop” but continued on with the flight. Flying at approximately 13,000 MSL he probably wasn’t all that concerned about hypoxia. But just altitude based hypoxia wasn’t the only potential problem. The pilot, reportedly confused, eventually landed on a road in Arizona, thinking he was landing at an airport in New Mexico. A factor in the accident was reported by the NTSB as a fractured clamp that leads to the loss of pressurization. Along with some other system problems, it likely allowed carbon monoxide to enter the cabin and cause the problems for the pilot. The pilot got lucky. 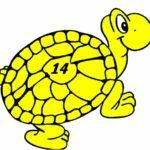 Would flying lower have helped this case? Probably not. But a better understanding of the cabin pressurization and ventilation systems may have allowed better mitigation of the problem when it was experienced. 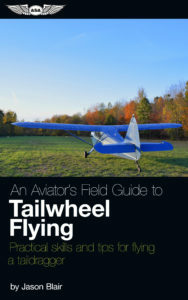 In a more egregious, initially appearing to be “dumb pilot tricks” kind of induced accident (NTSB Accident Number LAX89FA111), a pilot of a Cessna 340 “elected to leave the cockpit area and move to the rear of the aircraft to attend to physiological needs.” To make the story short, it appears the aircraft was left on autopilot and the pilot passed out while in the back of the aircraft. One initially sees this and thinks, “pretty dumb to leave the plane on autopilot with no one flying”, but the reality is the accident may have happened even without this decision. The aircraft was being operated with a known “pressurization deficiency” which didn’t allow it maintain full cabin pressurization differential at higher altitudes. The result was likely that while the pilot flew at FL250, the cabin pressure being experienced was well in excess of FAA oxygen-requiring cabin pressure levels. The pilot’s body was found in the aft cabin in the wreckage where he likely passed out as a result of hypoxia. The accident probably would have happened even if the pilot were seated in the cockpit as a result of the pressurization system problems. In this case, the pilot probably would have avoided the accident if they had operated within the limitations of the system (or had it fixed) at a lower cruising altitude. This is just one of the benefit/risk decisions a pilot of these middle-altitude capable aircraft must consider in their operations. You can read about some others in a book Jason just released discusses more. 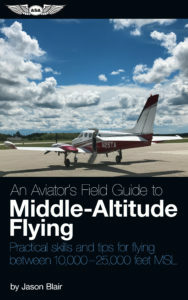 “An Aviator’s Field Guide to Middle-Altitude Flying – Practical skills and tips for flying piston-powered aircraft at 10,000–25,000 feet MSL” is available from the publisher, Aviation Supplies & Academics (ASA). You may be thinking, but thousands of aircraft fly at higher altitudes every day and never have a problem? Why is this being noted as a greater risk for pilots of these types of aircraft as a greater risk? Well, some of it comes down to how the aircraft of greater altitude capability mitigate the risks, that they have more robust oxygen systems, and in many cases, they operate in a multiple pilot crew environment. Jets that fly much higher many times have more robust backup oxygen delivery systems, more warning systems that help a pilot identify a cabin pressure concern, and have in most cases quick donning capable masks for the pilots in the event of a loss of pressurization. These are systems that are frequently unavailable in smaller aircraft, leaving the pilot with the mitigation of a loss of oxygen delivery needing to identify the problem and execute a descent as their only resolution of a problem. Two crew significantly reduces potential risk in many higher altitude operations also. Many personally flown aircraft are not operated with multiple crew members at the controls. The basic check of a fellow pilot noticing any problems can be a lifesaver. In a single crew environment, the symptoms can be insidious, and go unnoticed until it is too late. Higher isn’t always better. When there is a reason to fly at a higher altitude, and when that choice is done to mitigate a greater risk than the basic operation presents, it may be worth climbing to those flight levels in these middle-altitude capable aircraft. When that benefit doesn’t exist, a pilot should be left asking themselves, why should I? Instead of going up that extra few thousand feet just because they can.